Proper oral hygiene is extremely important, and dental health professionals are constantly trying to explain the importance to their patients. Regular dental checkups and brushing are needed to maintain a healthy mouth, and without these safeguards in place, other conditions could result. In fact, research has shown that there is a link between poor oral health and strokes, and this compelling evidence could make it easier for you to take your dental habits more seriously. 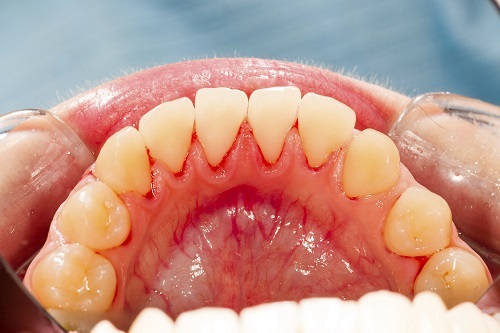 Gum disease is an infection that affects the structures around the teeth, including the gums, gum ligament, and bones that hold the teeth in their sockets. The disease can range from mild to severe and will worsen over time. The earliest form of the disease is gingivitis, and if left untreated it can result in the more severe form of periodontitis. Gum disease will affect approximately 50% of Americans, and considering the fact that dental care should be easily accessible, this is an extremely troubling number. Experts believe that one out of three people age 30 and over suffer from moderate forms of gum disease, and about 8.5% of the population suffers from severe gum disease, mostly due to poor oral hygiene. Other factors include smoking, poor diet, cancer, diabetes, and the use of certain medications. Gum disease has been tied to an increase in plaque accumulation in the arteries, and in some patients, this can cause a stroke. It is thought that the bacteria can invade the bloodstream during chewing, resulting in interference with the body's ability to produce insulin. It can also lead to conditions like high blood pressure, cholesterol abnormalities, and hyperglycemia. High blood pressure is the top cause of stroke, and research has shown that individuals with gum disease are three times more prone to suffering from a stroke than those without gum disease. Please contact us if you have any questions about gum disease and strokes.